Hello and Happy Valentine's Day! It's Janet here with another video tutorial. This time I'm showing off one of the largest dies in the new Spring 2018 Release called Fresh Spring Floral. Others on the DT have featured this gorgeous floral die but this is my twist on it. My thank you card includes the Expressions Plus Grateful die at the bottom. Inside, I used the Thanks Expressions die. All three dies are available in the store. This is a pretty simple A2 card base in black card stock. The black background makes the pastel colors in the wreath pop. The white frame was created with an embossing pen and white embossing powder. The raised glossy frame gives it an almost nostalgic look, like the old fashioned photo albums with white writing. 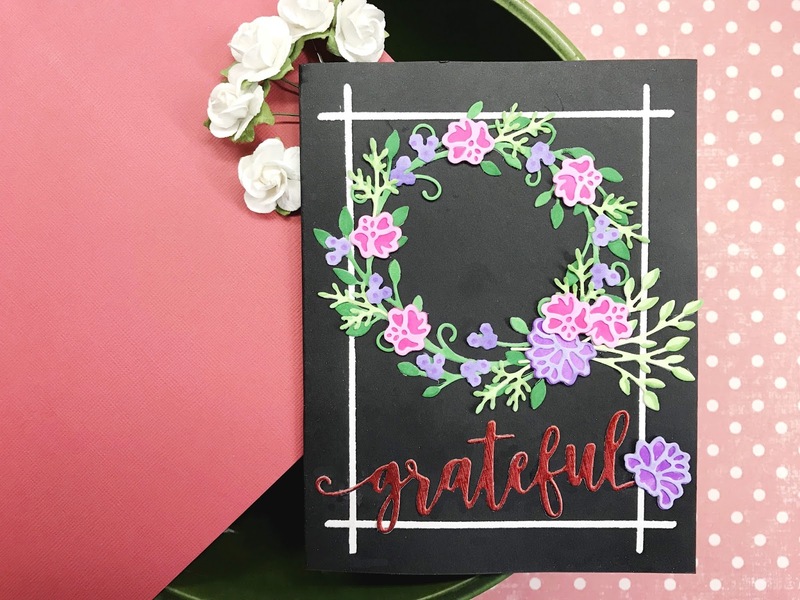 The Grateful Expressions Plus sentiment is cut from textured red foil card stock to add a little glamour without competing with the wreath. That's it from me today. 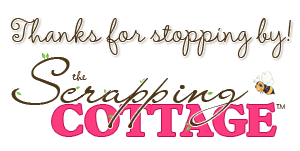 Thanks for visiting us! Very striking card the black background makes that beautiful wreath pop! I love the black background for your colorful wreath! It really shows it off nicely. Beautiful card! I like your creation. It looks great with the black background. So elegant.